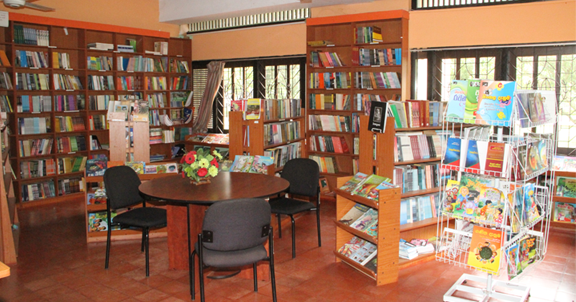 The National Library bookshop is maintained with the objective of providing books and library stationaries on concessionary rate. Range of fiction, non-fiction and children’s literature titles, stationaries and stationaries specially required for libraries are available for sale in the National Library bookshop. The bookshop is open on working days from 8.30 am to 6.00 pm and Saturdays from 8.30 am to 3.00 pm and is closed on Sundays and other public holidays.